Everyone knows that iPhone X in not a cheap smartphone. It’s delicate, very stylish, and that’s why you need a quality case in order to make sure that your phone gets maximum protection. The best way to protect your gadget is the utilization of iPhone X Wallet Case. The iPhone X Wallet Case has many features, and once you place your smartphone into this wallet case, you can ensure it is fully protected with the closure flap. With all of the money you have spent on your iPhone X, it is important that you should invest in the protection of your phone. A lot of mobile phone cases have been designed for your iPhone X, but the Caseme iPhone X Wallet Case is the best one. 1. The Caseme holds up to 10 cards with a front pocket for quick access to 2 cards, and the larger pocket holds up to 8 cards. 2. This is a really great way to protect your phone from the wear and tear of everyday life. 3. Enjoy your day knowing that your iPhone X is protected by the iPhone X Wallet Case. 4. This wallet case is an innovative product that will remove all the problems associated with staying organized. 5. This wallet case allows you to consolidate all of your items such as small keys, credit cards, cash, cell phone, etc. 6. 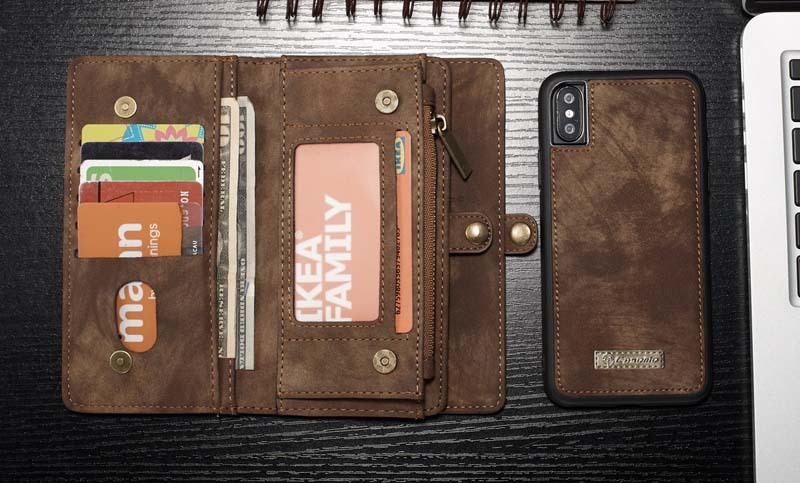 The Caseme iPhone X Wallet Case has been designed with the intention of offering maximum convenience. 7. It is spacious enough to carry all the essential items that you need while traveling. 8. You can make your traveling tension-free with this convenient option. 9. The iPhone X wallet case has been especially designed in Britain, and protects your iPhone X against sudden fall. 10. The wallet case features a tough internal shell, and holds your precious iPhone X very firmly. 11. It is one of the most impressive iPhone X wallets cases for your smartphone.